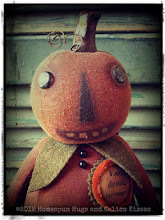 I decided to add some happy to my studio! 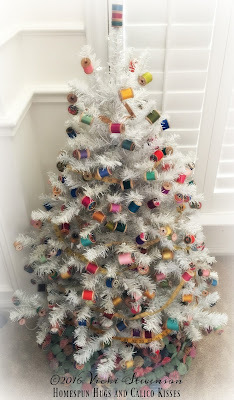 I attached colorful vintage spools of thread and old sewing measuring tapes to this fun white tree ... and covered the base with an antique yo-yo quilt. 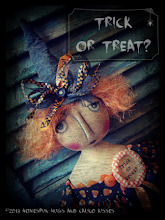 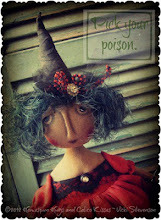 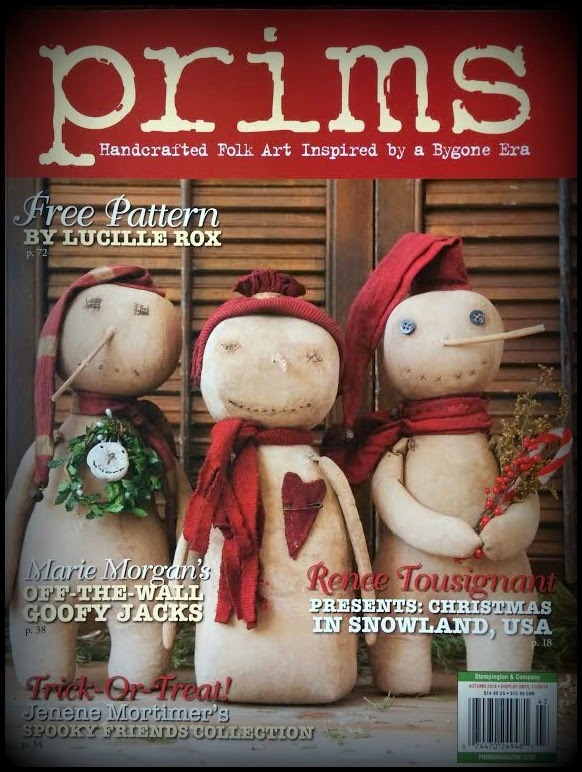 I happened upon this whimsical little project on Pinterest a long time ago. 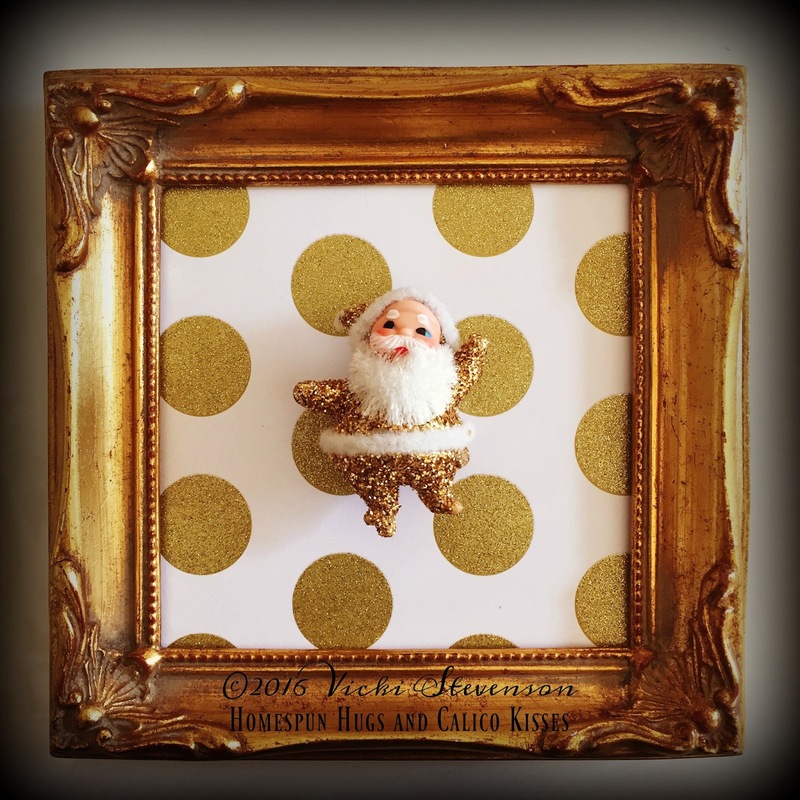 It's been on my to-do list since I already owned a little vintage gold glitter Santa. 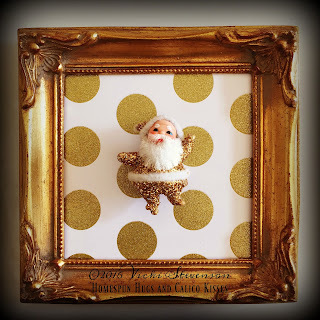 As luck would have it, I happened upon the gold frame ... and then went in search of gold polka dot paper!